Product vendors siphon away affiliate marketers most valuable asset, without paying them a single dime! When I first started coding the LinkMaster plugin the idea was to make a sort of an advanced link cloaker. I wanted to not only cloak my affiliate links, I wanted to have the option to actually pull the sales page of the product I was promoting into my own website. But as I was coding it, I realized that there was a potential for something much cooler. I realized that I can make this in such a way that it can actually stop one of the biggest things I personally don’t like about affiliate marketing. As affiliate marketers we have to learn to accept that when we send traffic to a sales page, if that traffic buys the product we are promoting, that person will then end up on the vendors email list. This makes sense because that person is now the vendors customer. It’s not such a big deal though because you where compensated for your efforts and for sending the vendor that lead in the form of the affiliate commission you received. But many vendors have a way to add your traffic to their email list without paying you a single dime. They make their sales pages in such a way that even if the potential customer you send them does not buy, and you don’t get a commission, they can still get that customers email address for themselves, for free. In short they are snagging your most valuable asset as an affiliate marketer, your email list and your traffic. The graphic above shows how they do it and it goes something like this. You use your email list, ads, your blog, or some other method to send traffic to the sales page of an affiliate product you are promoting. For one reason or another the potential customer decides not to make a purchase and goes to leave the sales page. But just as they do, the vendor hits them with a freebie offer that they can get if they just opt in with their email address. When the potential customer does, they go on the vendors email list and you have not earned one red cent. You sent them traffic to build their list, costing you time, effort, and in some cases money, and got absolutely nothing for it. Its insane, and frankly its bad business. Well I realize I could do something about it when I was creating the LinkMaster affiliate link cloaker. I realized that since one of the functions of this plugin is to pull the sales page into my site, I could make the plugin edit out any pop up code. Then I realized that I could not only edit out the vendors pop up code, preventing them from being rewarded with free list building if the offer does not convert, but I could also automatically put my own code into their sales page, that will redirect the traffic where I wanted them to go if they decide to leave without making a purchase. Cloak your affiliate link with your own website domain name. I could do a whole big launch with this plugin. With a very basic front end version and then OTO’s for the other features, and then more OTO’s for the developers license but I’m not going to do that. I know that a lot of people really need a plugin like this and I’m not trying to ‘rake anyone through the coals’ with pricing. I’m just trying to sell a quality plugin at a fair price. So I set the price very low, and there are no OTO’s at all. You get all the features up front, and there is no charge to use this one multiple websites. Feel free to put it on any site you own or manage. In fact instead of having a bunch of crazy up-sells I’m actually going to make this a no braining offer. This is a plugin that is designed by a top affiliate marketer for affiliate marketers. But what if your new to the affiliate marketing business? What about you? Well as a special bonus I’m going to include a free video training that explains how I built my review blog from nothing to one of the most visited IM blogs in the world. My blog gets tens of thousands of site visitors every week and I built it to that level from nothing. In this video training your going to get to see how I did it and how you can do it to. Allows you to add custom title, descriptions, keywords and Facebook image to any sales page you pull in as an internal cloaked link. Will make the words on your post or pages that you automatically clickable with your cloaked link ‘nofollow’ links so you dont pass ‘link juice’ from your site to the sales page of the product you are promoting. Overtake ‘old school- onbeforeunload’ redirects that some sales pages still use and replace the redirect with your own website. If you dont know what an onbeforeunload redirect is, dont worry, all you need to know is that LinkMaster is now even more effective at keeping vendors from building their list without compensating you when your traffic chooses not to buy the product you are promoting. Very well done Brett! Kudos! Awsome. Will this also be available without having to install a plugin (cloud). For different reasons I have blog, where the admin don’t allow install of ‘not reivewed/pre-approved’ plug-ins. No matter what – great work! Sorry no you will have to be able to install the plugin for it to work. Great plugin, do you offer a white label, or RR rights in the funnel for this product Brett? I got mine… love it… thanks Brett! Can this be used on sites that I flip? Sure, though to be totally upfront this is not designed with SEO in mind. Every good deed deserves a beer, and I believe I owe you a keg at this point! This sounds great. Don’t the networks frown upon framing their sites? Some block i-frames to prevent that. You could definitely do a whole launch with this. Maybe partner with a respected marketer to take care of all the launch/marketing. Thanks for the customer appreciation. We appreciate you as well. I cant speak on what every network will say, but as a general rule its probably not going to matter. All your products are top notch quality. But am disappointed… no OTOs. This is awesome, Thank U its about time someone did this. Are u going to be collecting all of our emails thru this software? Not having the ability to White Label this..is that going to cause us to lose some of our prospects? What does NOT having White Labeling actually means? You sound very confused. Let me try to explain: A WordPress plugin is something you install on your own website. On a WordPress website specifically. (FYI: This blog is a WordPress site). I have nothing to do with your emails, since you host the plugin on your own site. This is not a SaaS that is hosted on my servers. Also this plugin does not collect emails, and is not for list building, so Im not sure why your asking this. Thank you Brett…LOL Yes I am confused I know nothing about techhy stuff..but am slowly learning. UR pretty awesome..as u personally answer questions..a lot pf peeps out here leave us hangning when we ask a question. you know now I can do affiliate marketing in peace. I won’t feel cheated anymore, thanks a lot! I hope this makes sense. I know this is a word press plug in, but do I need to be using word press on my domain? Yea that will help if you want to use a WordPress plugin. First I have to say: great work, great product. But I think it would be even better when you could optional use your own exit popup instead of an backup url with an automatic forwarding. I think automatic forwardings may have a kind of negativ touch, if you know what I mean. This would also would allow you to include google analytics for campaign tracking, heatmap plugins and other great stuff. Maybe its possible to use this kind of code includes whithin the field for the retargeting code. What do you think? Anyway, thank you for that great work. 1) When you say you “pull in the vendors page to your site” is that using the technology you also used in your “Link Jacker” plugin or is that via iframe? (I ask concerning the link juice, SEO) – which could be an additional +point for your product. 2) Re. the link cloaker. I am currently using PrettyLinks Pro. It is good but it is still lacking one major feature: to determine the Social Media sharing settings of a cloaked link. In other words, what Title, Description and – very important – image will Facebook pull, if I post the cloaked link. Does your plug-in have that functionality? Yes, it uses an IFRAME, this is a time where an IFRAME is well suited, because using an IFRAME insures that your affiliate cookie gets set, using CURL would likely not set your affiliate cookie. This is not designed for SEO. Thanks for the fast clarification Brett. Do you also have an answer regarding the Social Sharing functionality for the link sharing? (i.e. can I define Text, Description and Image that the link is associated with)? No this is not designed with Social Sharing in mind, frankly you should never share a link directly on social networks, even a cloaked affiliate link. You should always send people to a review post or a interview or bonus page etc first if possible from social media. I will see about doing an update that allows you to enter custom title / description etc though. Brett, your new plugin, is the software that every affiliate marketer needs!!! Thank you very much… i already bought it ofcource!!! Once again,…. you have done a great job. This is a must have, and your training is great!!! Thank you ! Great product Brett. Very well explained and that is really helpful. You are a very honest and good marketers. I bought almost all of your products without any thinking. Thank you for helping us. Hey thanks Brett i picked this up, looks like i can say good bye to bitly nice one. Brett you are real my ideal when it comes to replicating someone’s success and crazy ideas how to help your customers. Thanks very much for what you do for us budding entrepreneurs. Got it…Normally I jump, test and use my new products….but in this case, I don’t need to !! I know that it will perform as intended when I decide to use it in the future…Brett products are top-notch and very reasonably priced allowing in newbies into the IM world without loosing an arm and a leg. Thanks you Brett … Great plugin from what I’ve seen in the video: I’ve seen some of these around used to cloak your affiliate links, but they are just plain, simple and sometimes lack support and updates. I like the way you’ve added a twist to a simple plugin, making it very useful and functional, backed up by solid support and training. “Jailed Internal” !!! I like that,,I never heard this term before !! Is this your own word? I try not to buy too much these days Brett especially as I have lots of purchases that have never been fully utilised.However you have spotlighted something that always concerned me and probably took money out of my pocket,these free offers and other bribes are often known as leakage.It leaks commission from you to the vendor. So I bought it and only read your email to distract me from the worry of tomorrow i.e. the surgeons knife :(. Does this cloaking works safely with facebook post and ads? The back up (own redirect) does this falls within the terms of any PPC traffic, isn’t this an exit pop not allowed by most PPC traffic? On a lighter note am looking forward to when I can collect emails of all my affiliate sales not only the commissions, then I believe affiliate marketing will really be over the board. LOL! Can I use this cloaker to simply cloak my affiliate or product sales page link and then post it to facebook pages/groups? Thanks! I want to start a review site where people can actually see a how a newbie (me) actually gets results from the product they are selling. Which leads to another question…how do I get people to give me review copies to do my reviews? Brett is this the type of cloaker that can be used for FB and Adwords PPC campaigns for CPA offers? Show link going to one page to pass approval but send traffic to CPA offer instead? I would not suggest that, because what your doing is trying to find a way to bypass the rules, I always suggest people follow the rules not try to find a way to get away with breaking them. I’ve been using your JackJacker plugin, so I immediatelyy got the concept of THIS bad boy. I plan to exit pop-up my “no-buys” to an email sign-up for MY email list using Link Master from now on. 2 quick questions: will you include any details on how to use LinkMaster’s “retargeting” powers? And will you allow affiliate sales of Link Master through JVZoo? Im not sure what kind of details you need. Just add your re-targeting code. That’s what I needed to know. So it’s just a matter, for example, of pasting the FB retargeting pixel code in the “Retargeting Code” space? Yep thats it. Also here is a tip. Though its designed for retargeting code, you could put other code in there if you wanted. As always, Brett, you have my gratitude for this massively helpful WP plugin, and the other products and services I’ve been fortunate enough to get from you in the past. PS: My bad — and my apology — for not installing LinkMaster before asking my questions. All is explained in the tutorial videos accessed by hitting the “Help” button on the LM plugin’s page. Watched the video and never really thought of that angle about exit pop-ups. Just considered it a way of life until now! Just what we need, Just what we want Plain and simple. Just installed and love it! Great product idea Brett, I bought the plugin and can’t wait to try it. Truly amazing… another top quality plugin. Brett you are one of a kind… thank you! Just bought this great offer last night and I must say I enjoy not having to jump though all the after sales hoops for OTO’s. Quick question Brett and that is with this plugin and it’s ability to cloak a link offer as your own blog page does that make it ok with FB to runs ads to it as we can’t using a JvZoo link as it stands? I would not suggest you do that, as the people checking the FB ads will still see a JVZoo page when they manually check (like everyone else). They will see you are trying to bypass their rules and likely will be quite unhappy with that. For JVZoo products you should have you ad run to a page on your blog that has a review or interview of the product you are promoting, this way when Facebook checks the page your ad links to they see a good blog post, not a JVZoo products sales page. However, I just tried a link in an iframe and it did track and showed in the stats on the Clickbank site. It looks to me like it will work but Clickbank frowns upon using iframes. Do you know anymore about this and is anyone using iframes with Clickbank hoplinks? If you uncomfortable then dont use it with CB products. But I can say this, what they dont want people to do is ‘cookie stuffing’ .. Cookie stuffing is where you artificially get people cookied to your affiliate link without them clicking your link. One way to do this is to load the sales page via your affiliate link in a hidden IFRAME. This gets them cookied without them even knowing it. Thats not what LinkMaster is about and it’s not something I would suggest anyone ever do anyway. Thanks, that is kind of what I was thinking. So as long as I am promoting a product on a page and provide a link that people have to click on before going to the iframed page I think it should be okay. Just purchased and will check it out. I’ve been checking out the plugin, and have found one problem. A lot of Clickbank vendors will have a popup when you try to leave the page asking if you want to leave the page or stay on the page. I used the Jailed Internal redirection to have visitors taken back to my home page when trying to leave, but I still get this popup from the vendor asking if I want to leave or stay on their site, instead of redirecting to my home page. Send me an email with your link to your jailed redirect and I will take a look at it (and if needed do an update). Hi Brett, I had the same problem. I sent you an email to your yahoo account with video screen shot. Thanks a lot. Great reviews as usual. If you click either stay or leave, so long as you have a backup URL, your backup URL should overtake their on exit. Clicking on stay on site wouldn’t bring up my backup url for me. Clicking on leave site would work and redirect to my backup site, but clicking on stay on site the page would just go blank and not redirect, and the popup would remain saying if I wanted to leave or stay. Disregard my last post. I just installed Linkmaster again and tested it with the same link I was having problems with earlier, and see that it is redirecting to my backup url clicking on either leave or stay on page now. You must have updated the plugin like you told me you were going to do and I didn’t realize it was updated yet. Thank you. **One thing to check as well though is to make sure that the redirect to the backup URL is not delayed. It may take a second since clicking “stay on page’ requires a reload of the existing sales page, and then the redirect to load your backup URL. So its a little slower. I already own WP Link Shield which I think does the same things your plugin does except I’m not sure if it iframes the offer. So is there any reason for me to buy this plugin or am I missing something? I wont lie to you just to get your money. If you already have a similar plugin then I would not suggest you buy another one that does the same thing. So the fact that I say .. ‘my new WordPress plugin’ .. call it a ‘WordPress plugin’ several times .. in both the text and the video as well as show WordPress in the demo did not give you an indication that this was a WordPress plugin? Haha, good one! You sound really gumpy sometimes, but because you are such a honest person on the IM community, its worth it! I’m all into mobile affiliate marketing. Only do static web pages on CDN. Does this product be of any utility for what I’m doing? Do you have a product for to creating mobile video sale pages? P.S. : Genius plug in you created there. This is the primary reason why I don’t have a website anymore. Im not totally sure I understand what your doing to make a fair suggestion as to if this would help you. Hi Brett, great product as usual. Will your plugin affect the placement of cookies on the customers PC by the product vendor when they visit the vendors site from my website link. Some Vendors pay the commission if the customer comes back directly to their site and purchases within a specified time period. Can I use the plugin on several sites? I must say.. You’ve out done yourself this time. Brilliant piece of coding my friend. Thank you for the generous offer. This is what I call “product integrity”. Most of us build our lists using solo ads and other paid methods. Grabbing our traffic in exchange for promoting a vendor’s product seems woefully lopsided. It’s the equivalent of running a solo ad to our list for free, with the exception of buyers of course. Yep thats what I though about those on exit pop ups the first time I saw them.. I was thinking .. man if this does not convert Im giving them a free solo ad. This is I always think. Thanks Brett. Looks like a great product Brett, Does it work for all affiliate sites and links? Will this work for jvzoo links on facebook? Thinking this might also help a small bit with SEO as the “affiliate links” in my blog posts will just look like links to other internal pages of my blog. I cant test with every affiliate site, in fact there are probably affiliate networks I have not even heard of, so as to the general question, will this work with ALL affiliate sites, I dont feel comfortable making a blanket statement about things I don’t know about personally. However I will say it should work with all sites. As for JVZoo on Facebook, dont use this to try to ‘slip’ an ad through the approval process that they would not approve, dont try to break the rules, thats never a good idea. Though if your posting to a group or something that will be fine, just dont try to run an ad and use this to try to trick their ad reviewers. Also Ill be totally honest, this was not designed for SEO and will likely have little SEO value. Any possibility for a html site version maybe in future? Not sure what your asking for? I am asking for those of us that are using and would like to use the plugin on a html site and not a wordpress site. Oh I see .. sorry this is a WordPress plugin so it will only work on WordPress sites. Just bought LinkMaster. Quick question please. Will Facebook allow these links? You can post them to Facebook. However as I said, you should not try to ‘trick’ Facebook and get away with linking to something against their TOS. Its never a good idea to break a sites TOS, and that’s something I will not recommend. Also just a FYI: If your thinking to link from Facebook directly a to a sales page, in general that’s not a good idea, you will find that your sales conversion is higher if you like to a review or bonus page first. Especially if its a digital product your promoting on JVZoo or one of those types of networks. Does my affiliate sales page need to be in WP in order to do wit it does on the video? No the sales page you pull into your site does not need to be a WP site. Great, thanks! Keep up the good work! Hello Brett. You must have ESP. I was just going to email you if you knew of a good cloaker for affiliate marketing. And then I get your email regarding this page about Linkmaster! Too funny. Thank you! Your software is great so I picked it up right away and can’t wait to use it.Thanks again! In case there is links pointing to other pages / sites like additional info, what will happen ? Im not sure I understand the question, are you asking me if links that are in a sales page that you pull into your own site will work? If thats what your asking then the answer is yes. Awesome, I just created a new site and was promoting a CB affiliate offer, on the aff page he recommended sending traffic to his “free” offer as he works with a follow up sequence to get us the sale… I signed up for his free offer and lo and behold his first email (after delivering the free product) was to a completely different offer not on ClickBank… now I can tweak my site using your plugin. Thanks so much! 🙂 Great timing. Since I’m not a programmer or coder, I am very interested in your product. I was hoping that you, Brett, could respond to a statement that was made via an email I received from another internet marketer, who happens to be a programmer/coder. I’m not trying to stir up any trouble, I just want to know if the comments made are true and I’m going to you to clear them up. Here is the email I received. released a “new” product to “cloak affiliate links”. start out my career as a review blogger either. LinkMaster is the “jailed redirects” feature. 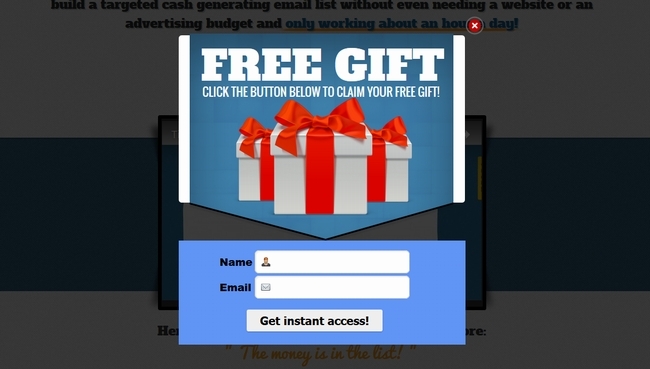 losing a lot of your list to sales page exit popups. But are these “jailed redirects” even possible? The answer is: YES but there is a BIG problem. So videos won’t play if you use a “jailed redirect”. I get a LOT of sales from cookies on JV Zoo. all the time and if it’s junk I don’t promote it to my list. In closing… beware of the wolf in sheep’s clothing. Like I said previously, I would like clarification that’s all. Which is why I don’t use sandboxed IFRAME’s, he would know that if he .. umm actually tried the plugin before he spoke, you know, like tested it out, the way I do when I write reviews. If he had tested, and did a review or something, that would be one thing, but he obviously didnt test, since he is talking about sandboxed IFRAME’s, which this does not use. Or perhaps he is delibertly making it seem like this uses sandboxed IFRAME’s (which it doesn’t) in order to deceive people? I really dont know. He didn’t promote because I didn’t let affiliates promote, which is why he is mad and trying to hurt me. But instead of hurting me I think he is making himself look foolish, showing that he actually does not test things before he speaks. Its a shame that some people will act this way, its even worse that some people don’t mind lying to people who trust them. Especially when his real grievance seems to be that I dared to sell something of mine, myself, and not let him and other affiliates get ‘in on the action’. Frankly when I see things like this email, I feel embarrassed for this industry. Awesome, Brett! That’s all I needed to know. I really appreciate your time answering my question. Take care! Brett, there is another guy promoting a link cloaker now as well…selling for $49 and said will be monthly soon….You ROCK with you products! Well good ideas catch on 🙂 .. though to be fair, Im sure that Link Master is not a first of its kind, its almost impossable to come up with a 100% unique idea these days .. one advantage I have over other marketers though is that I’m also the developer. This actually gives a lot of advantages, it allows me to give better support, it allows me to do updates more often, and in relation to your comment, it allows me to sell good products at a lower cost because unlike many marketers I don’t have to pay a developer and myself, I just have to pay myself. He’s been having a similar product to yours a link cloacker, one dimensional your does a few more things. Great plugin thanks. Immediately after purchasing, like not even 5 minutes later I got an email offer for WPLinkShield which costs more and to get the same rights requires an OTO purchase or 2. Hey Brett, looks great. What else would be cool is a video exit pop. So rather than the standard “written exit pop” a video of you popping up explaining what is on the next page. Hmm I will have to think about that. I have no interest in this other than reading Brett’s blog and seeing stuff he produces. Brett has always shown himself to be a fair and honest guy and attacks like that are unprofessional. Even making claims that are not true…extremely unprofessional! Tks for what you do! Thanks Brett for the email on the new update of LinkMaster plugin! Is this the modified version of your early plugin Jack Jacker? No, JackJacker is not good for affiliate links. Does the plugin work on every site or is this specific to WP? Well its a WordPress plugin, so your going to need to put it on a WordPress site. Yo Brett, I’m about to buy this. I use your other product Jack Jacker Gold and it’s on the money but I have a suggestion for a product you should put out. It’s related to this but not directly. There’s already a product out but like you talked about Coreldraw then Photoshop and basically evolution I think you could add more value and make it more dynamic. If you don’t care, I’ll put it here but otherwise shoot me an email. OK it has to do with time based retargeting. Basically being able to have retargeting pixels fire only after a certain amount of time passes. This way, the audience you’re building is really targeted, eliminating bounce traffic, and overall increasing ROI when your ads begin showing. You know like a retargeting pixel firing after a visitor has spent 600 seconds on your video page is generally going to produce a better prospect than someone who spends 6 seconds. That’s the basic idea. I believe this can be done using Google tools but like typical Google fashion it’s like rocket science. Brett, after using linkmaster I want to make a couple of suggestions that would better the plugin. 1) On mobiles (specifically android) there is no X in the corner to click to exit a page like on a laptop/PC so I experimented by pulling down the screen (clickbank product VSP) on a link master link to refresh page and the product pop up appeared instead of my redirect. Now that most traffic is mobile, that’s going to pose an issue. 2) Make an option to make linkmaster pages/posts (not sure which one) our blog’s front page. 1) Im not sure what your talking about as for the X on the corner to exit the page. Link master is an affiliate link cloaker, it has nothing to do with the pages. 2) Link Master does not make pages / posts, so this is also confusing. I think you have LinkMaster confused with something else. In other words for #2), how can I/Is it possible to make the linkmaster link the front page of my blog? WordPress has an option to make any native WP theme post or page the front lander of your blog. So if you made a linkmaster link (ie. Brettrutecky.com/bestdealever), how do you/is it possible to make it so that when people visit your homepage Brettrutecky.com it forwards to Brettrutecky.com/bestdealever? As for #1, maybe it would be better explained with a video or some visuals. Link master does not actually make pages on your site. Even if you do an internal link, the URL is generated on the fly and does not actually exist as far as being a page / post that you can reference to as far as WordPress is concerned. looks a great plugin , can this be used to sell exit traffic ? Not sure what your talking about here honestly. will this come to jvzoo to affiliate this plugin ? Not sure what your asking here. But if your asking if you can be an affiliate then Im sorry at this moment Im not accepting affiliates. but I miss one important feature. some product vendor give specific coupon to affiliate to lock sales. previously i use jack jacker to show the coupon code directly with salespage as a bar. but in link master that function isnt available. i hope that “jack jacker” bar feature is also available in link master. This is for affiliate links, its not for jacking pages, your comparing two totally different products, with different tactics, and uses. FYI: JackJacker is not ideal for many affiliate promotions. This is designed specifically for affiliate promotions. This is the one i searched in the internet for almost 6 months! The main reason is to block exit popup, can you please share a sample link. so that i can make my purchase now. Also i have another doubt. will this plugin will also work with warriorplus affiliate link? No it wont. Sorry, Fortunately 99% of the big launches are on JVZoo. I have nothing against W+ personally but they are frankly fading into JVZoos shadow. Question please, If the cloaked link is posted to Facebook or Instagram will the blocker pop up or does it post the links in those platforms with no problems…. I was trying to find a link to test. You should not use this to try to bypass Facebook or other sites and break their rules by linking to things that they dont want people linking to. BlackHat is not the way to go. I purchased this on Jan. 12/2016 and wondering if your updates were already added to my version or if you added them after. If mine is an older version where can I find the updated version?? Thanks for all the great info you share.. Always appreciated. You likely have the newest version. To access the download page log into JVZoo, click “Access my purchases”, Click the green button that says LinkMaster. Thanks Brett, already downloaded in Jan,, just wondered if I needed to download an upgrade. Just purchased. I’ve had the same problem with exit popups as you describe. I am excited to use this. I also have a couple ideas that might work unexpectedly. I’ll stay in touch! I’m just wondering what happens when the target url has multiple pages and I want the customer to be able to freely browse through those pages. Would they be able to see those pages while still staying in my domain ? Or they would end up going to the actual target url when they click on a link ? I just want to redirect them when they tried to actually exit. They will stay in your domain. If you put analytics or other codes in the retargeting section and leave the redirect URL blank, will the redirect stop working? Of course. Yes you get extra insights on visitor behaviour. But of what use putting in heatmap or analytic codes, if targeted visitors are siphoned away without linkmaster protection from vendor’s exit program? However, if you only entered retargeting codes do you leave the redirect section blank? Likely not. could users input either retargeting codes or other codes while leaving the redirect URL intact in each case? Well if you leave the redirect URL blank of course there wont be a redirect. How can it redirect if you dont tell it where to redirect. As to putting ‘other codes’ in the retargeting section, I cant possible comment on that intelligently as I have no idea what kind, or the quality of ‘other codes’ that you might enter. Hey man I came across you’re site. And I just Wanthink to say I appreciate. You’re honesty. On the reviews.. and I enjoy watching the videos. But I’m thinking about getting video take over. But idk. My only problem is getting traffic to myour affiliate site. Do I have to get any other add on with video take over?. Wow that sounds like a great plugin! I’ll keep that in mind when I start building my website. Interesting, how does this compare to other popular link cloaking plugins such as Pretty Links? Does Pretty Links block popups on vendors pages that you promote for as an affiliate? 1. Is this a WordPress plugin? 2. How does the retargeting work? Yes its a WordPress plugin. Is there a screencast for Link Master or screenshots? Well I really didn’t think a screenshot would be required since I show it in detail in the video at the very top of this post. Is there a feature to put the links into categories or campaigns? You mean group links. No there is not. What do you suggest for users that have large affiliate link lists ie: over 100 links to keep track of them? Or is the process to just scroll through pages of links to find the ones you’re looking for? Im approved for thousands of products. I dont promote them all. I only promote a few long term, and there are only some that actually need to be cloaked anyway. What is the criteria in order to cloak a link? The question does not make any sense to me. Sorry. I tried with two different cards of mine, both are in working condition, but can’t make a purchase. Saying that it’s an invalid card. No people buy this every day. I am really feeling helpless. I will try reaching out to my banks again. I seems you gave a relatively medium mark to WP Link Shield 2.0. Is your Link Master a better cloaking solution ? Especially is it compatible with responsive screens ? Im not going to directly compare my software to one I review as its impossible for me to be unbias. Though I have not personally tested I have no reason to believe it wont work fine. Brett, how does this display YouTube links on Facebook? I’m looking for something that will allow me to display YouTube links of FB that look like regular link posts with that large 1200×628 clickable image and not the smaller image that you usually get when you link to YT on FB. Will this do that? Thanks! No that is not what this is for. How is LinkMaster different from Affiliate Trax? I am still new to all this, so bear with me if I am asking stupid questions. They are nothing alike. A full list of differences would be huge. Its like asking how is a banana different from a picture frame. I recently purchased Mailit and got the upsell including affiliate trax – how would this plugin compare or be used? Is it one or the other? or each for its own specific purpose? thanks! MailIt is a system for sending emails. Link Master is a link cloaker that can also block on exit pop ups so vendors cant steal your leads that dont buy. All three of these things are totally different. Is this the “WP Link Master Pro” version? No, simply access your purchase through JVZoo and you will get the newest version. start using it right away. Some sites don’t support iframes, such as Amazon and Warriorplus. Your plugin can handle those? The internal redirect, where you pull in the target URL will require IFRAMES. The normal redirects where you just hide your link will not. So, if I put my warriorplus affiliate link (instead of jvzoo) as you showed in the video, will be fine. Isn’t it? As I said, you cant do an internal redirect (where you pull in the site) with W+, you can do a link cloaking redirect. is it the same linkmaster? all the best, awesome plugin! Wow brett and amazing plugin. Im totally impressed of this plugin that you created. Boom. Tks for everything. Hi Brett, After reading the linkmaster feature on your blog i decide to get it..This is really amazing, i like the feature of blocking the vendors for getting my leads from the traffic that i send to their products. Good work Brett..
Hi Brett, If you could insert to the Link Master plugin on the option a Geographic option so we could see from which country is coming traffic to our website. That might be a cool idea for a future update, thanks. This is so deja vu for me, I was setting up a new affiliate product yesterday and sure enough when I checked out the page of the vendor there was the exit pop up. This has happened quite a few times but only yesterday did it spring to mind that I am “sharing” my contacts with the vendor who probably has more leverage than me over MY subscriber! This looks a great piece of kit, well done Brett. Re. LinkMaster, does it work well for ClickBank Products? I ask because ClickBank advises against using frames and the like, claiming that commissions might be lost by affiliates who do that sort of redirecting/cloaking. It’s here: https://support.clickbank.com/hc/en-us/articles/220365867-Using-HopLinks, under the “Invalid HopLink Use” sub-heading: “…Do not attempt to hide your HopLinks by having them open into other types of sub-window objects, such as frames, iframes, layers, applets, or images. These types of HopLinks are considered invalid, and could result in lost affiliate referral credit…” blah blah blah. Is this REALLY anything to worry about? I dont use ClickBank, but it sounds like you answered your own question here. Technically it seems like LinkMaster could be used as an independent WordPress installation that only handles the linking from one site to another as the connecting process. IE… Site A may or may not be WordPress. Site B is WordPress and only used for LinkMaster. Site C is target site. Site B’s only purpose is to link between sites A and C. I ask because using this method would group multiple site A links in one area, rather than having LinkMaster installed on all Site A’s. This type of setup is similar to say, a site A blog that contains tracked links from site B, or in other words my blog that has affiliate links I created within site B, so I could see the all the activity passing through site B, instead of having to go to each site A to see the activity. I am not too sure of how too much redirection is acceptable or would be digested by traffic I send to site A, but I am only wondering if LinkMaster, used in this way would be feasible. I think your over thinking. Brett, can Linkmaster be used with YouTube to put a clickable link in with the video or in the description or both, and be in compliance with their TOS? If you want to cloak the link them Im guessing that the URL your redirecting to is something that is against YT’s TOS. If that is the case then no, dont try to get around the rules .. follow them. Brett, I’m not sure I understand the TOS. Perhaps I shouldn’t have said cloaking but I thought that is what it is called (70+ Yr old newbie here), I’m referring to a link to a JVZoo or Clickbank, or Amazon product. Or some affiliate offer, and we want it to read nicely, like you show in the video, not be xsu27348, which means nothing. Its what you are linking to that is going to matter as far as their TOS, and Amazon product will be fine. However JVZoo and CB might not be. I STRONGLY suggest you read YouTubes TOS if you plan on using them for marketing. Brett Rutecky always provides value. One of the really good guys in affiliate marketing who never fails to assist those looking for help. This looks like another ripper product. Cheers. what the difference between affiliate trax and linkmaster? Hello Brett, I have bought and used a lot of your products, thank you! Quick question, I have tried using clockers, including some that you have made before, and they worked great, but when I try them on a site with SSL certificate, they don’y seem to work. We want people to feel confident that they can purchase through our link on a secured site. Will this plugin work with SSL certificates? The issue with SSL’s has nothing to do with the cloaker you use be it mine or someone elses. The issue is if YOUR site has an SSL on it. If you want to cloak a SSL link (https) then your site must have a SSL on it, as I said this is true for any link cloaker. Just to say thanks for this, bought as soon as I received the notification about the “Special” it’s a complete “no brainer”. I read through the comments (after I bought) and interesting that some people are comparing to Pretty Links, whilst there is nothing wrong with that product except it’s $197 per year and doesn’t have the functionality of Linkmaster! Just saying. Im not sure what your talking about, sorry. I have no pending support tickets. Make sure that you sent it to the proper support desk listed in the HELP section of all my software. 99% of the time when people do not get an answer it is because they ignore that clear instruction and instead send a support request to my PayPal email (which is just for PayPal). The other 1% of the time my support desk software erroneously flags them as spam (nothing is perfect it seems). Either way though I never ignore customers. Hi Brett, I’m going to buy this plugin not only because it has awesome features for affiliates, but because I am so impressed with your level of integrity and your genuine concern for your fellow marketers. How can anyone not be compelled to support what you are doing. Big ups! Very cool and I’m picking this one up. Q: Will the “Jailed” mode prevent cookies from being dropped? which version of WP is compatible with? in the future… with new WP versions… are you planning to update it? wow, that was not my intention. I’m sad that you think that about my message. I just asked to know and I did not assume anything. but ofcourse now, when I reading all the comments and I see the roadmap of your plugin I understand your words. so sorry about that. and please, don’t think I was looking some kind of inherit negativity and cyniscism. HI Brett, I already own linkmaster v1.5 Will I have to buy it again to get the latest upgrades? No the updates can always be accessed through JVZoo by clicking the button for your purchase. Believe it or not, I pick up Link Master without even watching your sales video because I believe what product you offer has high value in it. After I purchase this, I come back and watch the sales video. And yeah, right decicison again every time. Hi Brett, I have just purchased your LinkMaster plugin. Is there any tutorial on how to install it an d use it? I couldn’t find it. Thanks in advance. Very well done Brett Looks great. I tried the plugin on my new wordpress site, but I do not understand why it does not function. When I post the link master made url, it just takes me to my homepage. Could you help me please. thanks. There is a support link built right into the plugin. Please feel free to shoot over a detailed description of your issue. 1. Is this plugin is updated and compatible with the latest WP version? 2. Is this plugin is compatible with any hosting company such as Host Gator? It is, one of the best things about being a marketer and a developer is that I use all my own tools in my own business, and keep them updated because of that. Saw the vid about ”Link Master” and like it. However, I can’t seem to find it under the WordPress directory. Master Link comes as a result,but I don’t think it is the same thing. I am currently reviewing ”Pretty Links” and wonder how this two stuck up? The WordPress directory is only for non commercial / free software. Link Master is a paid plugin. As to how the two stack up. Well thats a loaded question given that I wrote one of the two. Hi Brett, bought your amazing plugin, but wondering can i jail the link using your Link Master and then use this output link in a link tracker such as Shorty or Pretty link to track sales and conversions and Geo-location as Link master do not have these stats ?! in another word combine both Link Master and Pretty Links to generate one super affiliate link that is jailed and tracked for conversion … please kindly let me know. I think you are over thinking as there is really no need to do this.